I really like the latest Miu Miu Twist [below] campaign with Elle Fanning (who I love from Vogue's Fanning’s Fan Fantasy). I think it’s great when brands advertise with a good dose of humour combined with strong casting, while keeping it high end. In art direction and performance, the Gucci Showtime musical definitely got my attention as well. Besides Google as my lifeline, I regularly check out Adweek, Complex, The Hollywood Reporter, Promonews, The Fader and Pitchfork for all news on advertising, feature films, music videos and pop culture. There’s one tech thing I keep buying for myself as I keep losing it: earphones. There must be another world for earphones somewhere. My noise cancelling headphones, so good to hear the music and sound design as it’s meant to be heard. I have to admit that it’s my mobile phone that’s most of the time attached to my headphones so basically two things I could not live without. I’ve watched many great films but Roma and Call Me By Your Name really touched my heart. As soon as tears roll over my face I guess I’m watching something great. I think the beauty in both films is that I felt part of the world that was being created, like you’re actually there. To me it’s the perfect synergy of great directing and acting, amazing cinematography and beautiful locations and set design. A Hole in my Heart; a short film by one of our directors, Mees Peijnenburg, shot in black and white, in a small town in the north of France. It’s with all local boys in it, without any acting experience. I also cannot wait to see Mees’ new feature film, Paradise Drifters, as well as Sam de Jong’s new film Goldie. I find Emmanuel Adjei’s project with Sevdaliza, Shahmaran, a piece of art; a music video in short film length. HALAL just produced its first online series, Joardy Season. It’s absolutely hilarious. I’ve been watching it while crying from laughing. Internationally, I love Fargo, Mad Men, Boardwalk Empire, True Detective, The Wire, The Deuce.. But to me the best TV show ever made is Sopranos. During the Amsterdam Museum Night I went to the Jewish Historical Museum and there was an exhibition of David Seymour. He captured lives through this indescribable time machine as he’s been in World War II and the Spanish Civil War. He co-founded Magnum Photos, of which he became president, and eventually died in a machine gun fire during the Suez crisis. I find it so inspiring that someone dedicates his heart and soul to sharing images whether it’s journalism or art, in David’s case he dedicated his life to it. Above: Woman walking through the rubble with a chair on her head, Port Said, Egypt, November 1956 © Chim (David Seymour) Magnum Photos, courtesy Chim Estate. The year has only just started but it’s been filled with inspiration non-stop. At the beginning of the year I went to Lagos in Nigeria with Daniel Regan, a photographer from LA, who is moving into directing. We shot a music video [below] on a beautiful island and met all these welcoming and lovely people. I love diving into cultures and feel privileged that I get to travel so much for work; to Berlin, where we set up HALAL last year, Tokyo, or to work and teach film in townships in Cape Town. [Director] Caroline Koning and I just got back from Mexico City which has been a great production experience. Actually, all the directors and photographers we work with are inspiring to me as both people and artists. The ocean of possibilities regarding formats and type of content in the social/online universe. 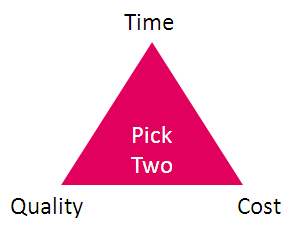 And then there’s the time/money/quality triangle. If there’s no time, you at least need money to ensure quality. Without money, you need time. And if you want something good, you need both time and money. I think successful production houses know how to be selective, when to say no, and play to their strengths. In turn, this way of working also attracts the best talent, and provides room to nurture the craft and push the work to the next level. What I find a very positive change in all this, is that it feels like the relationship between agencies and production houses is more transparent, more collaborative. I also love working direct-to-client, especially when they know their brand and what they (don’t) want. It’s an exciting time in terms of branded content, I look forward to working with brands who want to explore how to collaborate with artists in music videos or documentary formats to support artists and culture. Also, I would like to see less crap content to sell crap products. The owners of a fashion company where I did my first internship. They let me figure out everything by myself, literally everything. Throughout my career I’ve been given a lot of freedom to create my own workflow which has a deep impact on my daily mindset. That kind of trust, at all levels, is priceless. My whole life I’ve been going to Sweden every summer - to fish in a wooden rowing boat while staring endlessly at the cork until it goes under water. I usually throw them back in the water. But sometimes, if the fish is big enough I kill it, filet and fry it.